We will be visiting a portion of north west Arizona that goes by several names. For some reason, we seem to have settled on "the Parashant" as the correct one. We will be visiting several sites on the rim as well as some of the other incredibly scenic and fascinating ones along the way. As we travel, we will be sending pictures and descriptions back to be posted here. A full trip report will follow when we return. 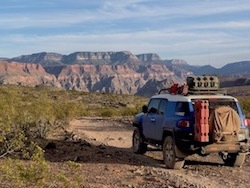 "Our camp on the first night included a view of the Grand Wash Cliffs. Sunset was incredible over these mountains!!!" This is a picture of the The Hualapai Tribe Skywalk taken from our campsite across the Grand Canyon. There is a airstrip near there and we have seen planes bringing visitors. Dave thank you for planning and researching such an amazing trip, to such a remote and isolated area. We had a great group of folks on our trip and it was great to get to know them and now be able to call them friends. "The Grand Canyon Parashant national monument is a very remote and undeveloped place jointly managed by the National Park Service (NPS) and the Bureau of Land Management (BLM). There are no paved roads into the monument and no visitor services. The 1,048,325-acre (424,242 ha) monument is larger than the state of Rhode Island. 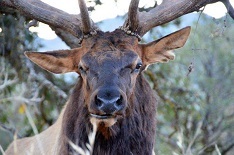 The BLM portion of the monument consists of 808,747 acres (327,288 ha). The NPS portion contains 208,453 acres (84,358 ha) of lands that were previously part of Lake Mead National Recreation Area. There are also about 23,205 acres (9,391 ha) of Arizona State Land Department lands and 7,920 acres (3,210 ha) of private lands within the monument boundaries. Grand Canyon-Parashant is not considered a separate unit of the NPS because its NPS area is counted in Lake Mead National Recreation Area. Elevation ranges from 1,230 feet (370 m) above sea level near Grand Wash Bay at Lake Mead, to 8,029 feet (2,447 m) at Mount Trumbull. The Interagency Information Center is located in the BLM Office in St. George, Utah." Four primary unpaved roads enter the core of the strip: from Mesquite, Nevada; St. George, Utah; Colorado City, Arizona; and Fredonia, Arizona. 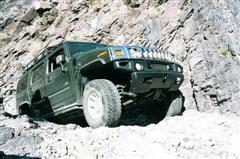 All four are dirt/gravel and should not be driven by vehicles with low ground clearance. Motorists should check with the BLM locally before heading into the strip on these roads, and are advised to be prepared – even rangers may not know current conditions, such as snow/ice cover and washouts. Our trip included 2 travel days, to and from the National Monument, and 8 days and 400+ miles off-road. Our first night was spent enjoying the views and ever color changing Grand Wash Cliffs. 2nd and 3rd nights were spent viewing the Grand Canyon from Twin Point. From Twin Point we traveled to Kelly Point. Our route to Kelly Point passed the Waring Ranch. The next 2 days (4th and 5th) were spent with spectacular views of the Grand Canyon from Kelly Point. The 6th night we spent at Whitmore Overlook where we watch rafters being shuttled by helicopter to and from the Colorado River. The 7th night was a treat. We spent the night at the Bar 10 Ranch. We were treated to a ranch style dinner and breakfast. There were hot showers and we got to sleep in covered wagons. Mount Login was the campsite for our 8th day. On our 9th day we visited the "Witches Water Pocket" and Toroweap. After Toroweap we headed home with lasting memories of our "Great Trip". Dinner at Grand Wash Cliffs. On our way to Twin Point. On our way to Kelly Point we passed by the Waring Ranch. Here is an excerpt from this document http://lcweb2.loc.gov/master/pnp/habsha ... 00data.pdf describing the Waring Ranch. Waring Ranch comprises seven sites scattered across the southern end of the Shivwits Plateau north of the Grand Canyon in the Arizona Strip. The ranch headquarters, Horse Valley, is 65 miles south of St. George, Utah, in township 31 north, range 11 west, section 6 (Gila and Salt River Meridian). Its geographic coordinates are latitude 36.118075, longitude −113.50183 (North American Datum of 1983). These coordinates represent the southwest corner of the Horse Valley ranch house. Next stop Bar 10 Ranch. Hot showers and ranch style food. Last edited by Voodoo Blue 57 on Sun May 27, 2018 5:09 pm, edited 13 times in total. Well, we all made it back safe and sound. While we all returned home "physically" safe, we did have one member who experienced some significant difficulties and he will post below concerning his "excellent adventure." Clean up continues and probably will for a while. The trip was organized well in advance, and it paid off. Having done this trip in the past, is was evident that some destinations deserved more than a single day. So, we decided that we would camp at Kelly Point and Twin Point for two days each. A good argument can be made that we could have stayed at each camp for two days (or more), but there was so much to see and a somewhat limited 'number of days to explore. The pictures below give a pretty good idea of what we experienced, but as with all trips, it has to be seen to be fully appreciated. 1. First and most important, thanks to all the members of the group. It was a complete pleasure to travel with good friends, great chefs, and very competent off-road drivers. Preparing for this trip required a lot of work, expense, and time, and everyone did a terrific job. When the details and prep work come together (as they did here) it is so much easier and pleasurable to enjoy the great land through which we traveled. 2. 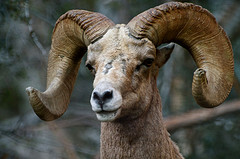 Many thanks to Parashant rangers, Royce Orme and Marty Simms, with whose help we were able to get up to date trail information as well as other trip recommendations. One of the trails we had used in the past had suffered severe storm damage and was impassible. With the new information, we made a slight detour. 3. Many thanks to Larry who posted out trip pictures, as above, which we transmitted to him during the trip by means of my HF Airmail. 1. There is no getting around one fact - the Parashant is dusty. Everything in the vehicles, on our clothes, in the tents, etc. got a generous helping of dust. In anticipation of this, we brought sufficient water to enable our hot water showers. My Zodi was a very welcome relief at the end of the day. 2. On our last visit to this area, we found that there was almost no cell phone coverage, and, what little existed, was very spotty and quite weak. On this trip, to our immense surprise, on both points and on Mt Logan, we not only had decent coverage, but had 4G, 4-5 bar strength!!! That is, only Verizon users had coverage, but we had more than enough for everyone to enjoy with a mobile wi-fi set-up. Being more than 120 miles from the nearest "real" city, and in such a remote and wild location, this was quite unexpected and very interesting. 3. For all the rest of the locations, I had terrific HF propagation for both voice and Airmail. For the entire trip, from the highest peaks to the lowest canyons, Airmail ALWAYS worked. The most unexpected discovery with Airmail was the availability of a Pasco Washington station, over, 750 miles from our locations. To my great surprise and delight, this station served me from every location we visited, and at the highest speeds I have yet seen with my Pactor P3 controller. I can't wait for the Pactor 4 controllers to get approval from the FCC!!!!!. 4. With one exception, which I will note below, there were no facilities of any kind, for the entire trip. This meant that we had to rely on the gear we brought in order to survive. For a trip of this length, we needed the benefits of 12V refrigerators to keep food well preserved. For my fridge unit, computer, and Ham radios, my alternate power arrangements were a huge benefit. I relied on solar during the day, but at night, it was another matter. On one occasion, when we reached camp at 6:30 in the evening, the mercury had reached 100. Between my Ham radio and the refrigerator (which would be cycling on and off all night long), I knew that I needed some help, especially after the sun set. The solution - my wind turbine. It was almost like it we planned it - when the sun went down, the wind came up and lasted for the entire night. When the sun came up the next morning, the wind died out. For the entire night, the battery level was in the safe zone and completely charged, thanks to the wind turbine. Camp at the top of Mt Logan was at 7500 feet. The weather was a huge change from the GC Overlook (cooler that is!) and the views from the top were sensational. The Witche's Water Pocket was made famous by John Wessley Powell in the 1870s when he was exploring the Colorado River and the plateaus surrounding it. In Powell's Journal, he describes it as a consistent water source, but when we visited, it was a bit dry and nothing more than a damp spot in the dirt. It did contain water during our last visit, however. (For a little more history, see: http://www.grandcanyonhistory.org/Publi ... 2006_3.pdf) The Cross, which is seen in the first photo below, was placed there over 100 years ago and is proof that this was the pocket to which Powell referred. Looking back at the pictures, I realized that there were a few areas that were left out. The pictures tell the best story, but a short explanation is in order. As mentioned before, the Parashant is really dusty, both on the trail and at camp. When it was warm or hot, the dust stuck like glue. The hot showers were really very refreshing at the end of the day. The temps for this trip were in the comfortably warm to hot range. This meant extra work for the refrigerators, both day and night. if we intended to operate the ham radios, computers, and all the other stuff we brought, they needed extra power as well. For those places where we stayed for more then a single night, the drain on the batteries really added up. So, during the day, Cholla, Hector and I, relied on our solar panels to keep the batteries charged and in the safe zone, while still using all our accessories. 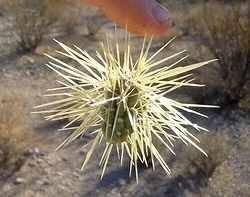 Cholla had an ingenious solar panel mount that allowed him to maximize his panel out put by angling it toward the sun. Hector and I both had roof mounted panels, but, unfortunately, this photographer failed to get some pictures. Maybe someone else has a few shots. My wind turbine, when stowed properly, fits compactly on the roof, and takes mere minutes to deploy. On the hottest night (by far) on the entire trip, the conditions were perfect for harvesting free power from the wind, which lasted all night. The WT was sufficient to not only power the Ham radio, but the refrigerator, and all the other stuff as well. In the morning, the battery was fully charged. Looking at the dates the trip report was posted I think we probably just missed each other. I had a group at Whitmore on Monday the 14th and we worked our way east hitting crazy jugs overlook, point sublime (had to clear a lot of downed trees) and on to Alstrom Point before dropping south to overland expo. I doubt anyone lost body weight on the 2018 Parashant Trip. For every pound we sweated off in the heat, we likely gained a pound (or more) back through the great meals we had along the way. Here's a few shots of food and beverage highlights. As you can see on the dinner tables, every evening meal started with a Happy Hour and included fine wine with dinner. Last edited by Jeff-OAUSA on Thu Aug 02, 2018 7:28 pm, edited 2 times in total. Dave covered the trip really well in his report. Great trip with great guys! Here are a few additions. Click on the map to show higher resolution. Some "roads" seemed to be little more than rock strewn, narrow openings through the vegetation. so food supplies were well stocked in addition to gas and water. This cell phone screen shot, with reception courtesy the Grand Canyon Skywalk, shows where we camped on the edge. What a fantastic view! First noticed these guys, Arizona Giant Hairy scorpions, when a couple invaded a trash bag that was left out over night. Arizona Bark scorpions were also prevalent. Chasing one of two from under the tent to avoid squashing it. The trail was very dusty. I initially tried to keep the windows open to enjoy the scenery, but quickly opted to close them and run the air conditioner. The inside mechanism of my rear door became so dirty it stopped functioning. All of those bushes and tree limbs along the trail stylized the finish of my vehicle. Dave was smart and used brush guards. Sami was the only one of us tough enough to take the hike down to the river. The Bar 10 Ranch was a relaxing stop with good food, showers, and friendly staff. The unscreened covered wagons were admittedly a bit corny, but fit the feel of the place. Did I mention the Bark Scorpion that I found inside on the floor when getting ready for bed? One of my antennas was destroyed by an overhanging branch. While this pictured antenna survived, I spent 50% of my time looking at the side view mirror instead of the road. For vehicle-to-vehicle communication, only a short antenna is needed, which I've subsequently acquired. I pulled out the back seat to make room for water and gasoline. Topping off the tank at 22 gallons just before going offroad, almost all 30 gallons of gas were used by the time we made it back to St. George. While we were never too far apart, APRS came in handy to figure out where everyone was. The 100-watt solar panel kept the refrigerator battery charged on days we weren't moving. Vehicle power was used on travel days. From the Toroweep Overlook you can see the lava flow from the right that once blocked the Colorado River. Some of us found SoapCloth provided great relief in lieu of a full shower. Leaves you feeling clean and won't dry out like packages of "wet" body wipes. "SoapCloth is intended for self hygienic washing of a full size person's entire body under field conditions while using minimal amounts of water and utilizing a unique soap formula that evaporates by itself, eliminating the need for wiping or drying." Partly due to using SoapCloth instead of showering, we still had half of our 40 gallons (for 2 people) when we returned. Last edited by JumpingCholla on Wed Aug 01, 2018 10:38 pm, edited 2 times in total.